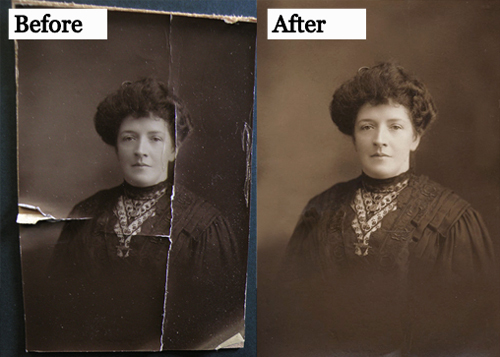 If you have a damaged or old photograph, our image enhancement service may be able to help. The photographs below demonstrate what can be done using our computer skills and experience in enhancing and restoring photographs that seem to be beyond repair. 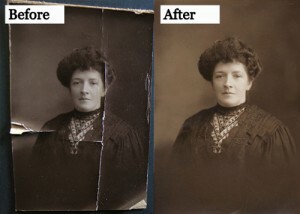 If you do not live locally, this is a service we can still provide, by emailing you the finished results. 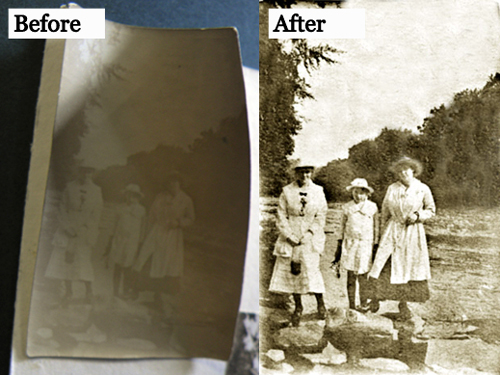 Feel free to contact us with any queries you have regarding image enhancement.